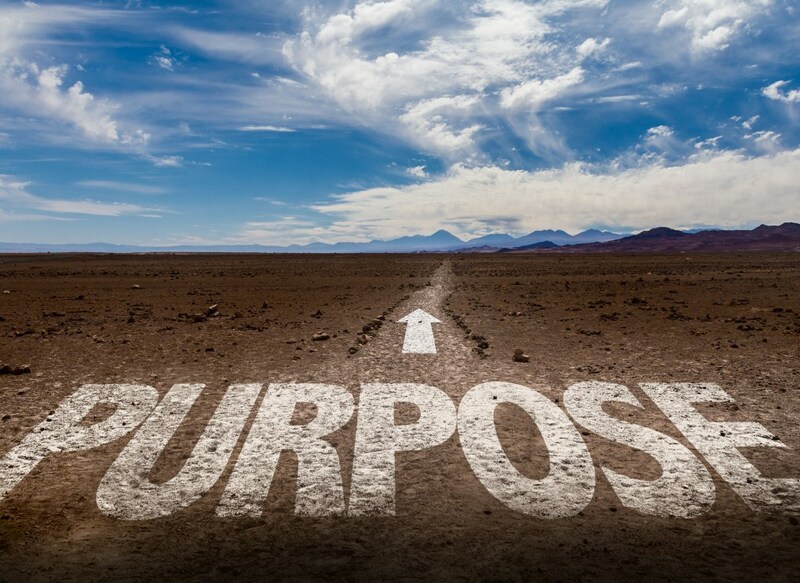 A client recently told me that he must have read five books about life purpose…and that he still didn’t know what his was. Too many of us experience existential angst trying to discover our life purpose. I used to think that purpose had to have a job title. But that kind of narrow thinking will drive you mad, and distract you from actually living with purpose. In his book Tools of Titans, Tim Ferriss writes that his favorite answer to the question, “What should I do with my life?” is “Enjoy it.” I agree. And to enjoy it most, I offer this three-ingredient recipe for living a brilliant life full of meaning, fulfillment, and purpose. What if our job on the planet was to become the best version of ourselves? This would mean learning from—but not necessary emulating—others. It would involve discovering and honing our strengths, while shoring up any debilitating weaknesses. As we grow, we increase our limitless potential until one day, we barely resemble the anxious, uncertain person we used to be. Growing is optional. Left to our own devices, our brain will keep you from taking risks and convince you that any change—even change for the better—is too painful. Without intention, we practice (and deepen) bad habits. Constriction and stagnation are easier, but growing is so worth the effort. Your growth path will be unique because only you have your particular combination of strengths and passions. Take inventory of your strengths. What comes relatively easily for you that may be hard for others? What bad habits do you need to break? (You can grab my Planning for Habit Change tool on the resources page). What are your favorite ways to learn? Too many people read books and take classes without DOING something about it. This isn’t just about learning, it’s about letting the learning change you, and then using your growth to better others. Which brings me to ingredient number two. This step is not reserved for artists. If you’re wondering what you should create, the answer is simple: create things that bring you pleasure. Mihaly Csikszentmihalyi’s work on positive psychology gave us the concept of flow—where you’re engaging your strengths in a challenging way that makes time seem like it’s flying by. When are you in flow? Gardening? Cooking? Fixing cars? Building web sites? Writing is a huge form of expression and contribution for me. I love taking inspiration I get from others and crafting sentences, workshops, stories, and metaphors that may help others improve their lives. My daughter loves to draw. Her friends “commission” work from her, and she sets about the task, enjoying both the challenge of creating something beautiful on a blank page, as well as pleasing close friends. My mom is a wizard at making a dirty or poorly organized home an orderly, pristine environment where people feel at ease. What do you love to do so much that it doesn’t even feel like work? Do that, brilliantly, knowing that it’s your divine gift to the world. Emotions are vibrations in the body that drive our actions. Emotions can cause us to over-eat, over-drink, and over-spend. Emotions can also cause us to connect, give, thank, laugh, and sing. No emotion feels better in our bodies than love. Sadly, we’re wired with five times as many thought processes for negative thinking over positive. Accordingly, we frequently experience emotions that correspond to negative thoughts—fear, anger, distrust, and resentment, among others. This negativity bias kept us alive when we roamed the savannah. Now it just makes us feel crummy. So, while it may take practice to override your brain’s tendency to blame and distrust, it’s worth it to make love your go-to emotion. We don’t need to overcomplicate love, deciding who is and isn’t worthy of ours. One of my favorite passages from Dr. Wayne Dyer’s book, the Power of Intention, came when a man approached him after a seminar and said, “I don’t know what to do. I don’t love my wife anymore.” Dr. Dyer’s advice: “Love her.” We don’t have to marry or befriend everyone we love. You can love your enemies without inviting them over for dinner, and without expecting them to love you back. Our purpose then, is to love all, regardless of how much they love us, and regardless of what they do and say. Anger is easy. Love is not. Love takes courage. And it feels really darn good. Start your day with some rich learning for your mind and soul. Then share something you learned with others. You can share it in a meeting, social media, or with friends or family. Create something that feels great and that you can share with others (food, music, business model, witty email, spreadsheet, etc.) Savor your accomplishment. Every day, tell someone you love them. Show love by giving money or food to strangers, or by forgiving someone you hold a grudge with, or showing empathy to someone who is struggling. Periodically throughout the day, pick someone to send loving thoughts to, wishing that they feel deep happiness. If you like, you can come up with a one-sentence description that encapsulates how you want to live. Do this lightly, knowing that you don’t have to engrave it in stone, and you can change it as you evolve and get more clear. I choose to help as many people as I can, as efficiently as I can, and have a blast in the process. What are you waiting for? Go out there and love, grow, and create…then celebrate living on purpose. Want to wear your purpose on your arm? I love the MyIntent Project, where they lovingly engrave a word of your choice on a bracelet or necklace. So far, I have two that read, ‘Brilliance’ and ‘Courage,’ to remind me to take steps toward my potential, no matter how scary those steps may feel. What’s your draft purpose statement? What is a great use of your strengths and passion?